1920 text showing how the left wing of the Italian Socialist Party initially held anti-parliamentarist positions, prior to the Second Congress of the Communist International. summarizing the basic positions and tactics of the fraction in clear and effective principles, and disseminating them as widely as possible in Italy and in other countries. The abstentionists will not by any means or in any way participate in the elections, and, wherever possible, will prevent a party electoral slate from being presented, and will advocate abstention with all the means at their disposal. After voting on some organizational matters, and electing the comrades Amadeo Bordiga, Ludovico Torsia, Rodolfo Gobert, Tommaso, Borraccetri, Antonio Pisacane and Antonio Cecchi to the Central Committee, the conference adjourned. Published in English in a collection of texts as appendix to The Communist Left in Germany 1918-1921. Online version taken from the Collective Action Notes website. 1. We include this short text of the Italian Left (extracted from Il Soviet and published by Kommunismus) in this collection because it shows, in opposition to the legend maintained by Bordiga and the Bordigists, that the entire Italian Left was actually more “leftist” than the image they later tried to disseminate. This text reveals: 1) that, prior to the crucial Second Congress of the Communist International, the Italian Left almost made the issue of non-participation a question of principle; 2) that it had intended to form, upon the foundation of this principle, a left opposition within the International and that it had already judged that the latter organization was infected with “opportunism”, and finally, above all, 3) that it had the intention of calling, on its own initiative (and not within the framework of a socialist party congress, as had occurred at Livorno), and as soon as possible, a founding congress of the communist party in Italy. As is known, “events” took a totally different turn. The Italian Left unconditionally accepted the discipline of the Communist International and never formed an international fraction within it; it set the parliamentary question aside as a secondary matter, and, out of discipline, participated in the elections; the party was not founded until January 1921, when the last wave of the workers movement (summer 1920) had receded. Once the anathema was pronounced against Bordiga and the winners had concealed his role, a vigorous reaction was launched to defend the opposite viewpoint. Bordiga was indisputably the leader of the first communist party, this could not be denied; does this imply, however, that he exactly expressed the most profound and subversive tendencies of the abstentionist fraction? The fact is that Bordiga and the other members of the Central Committee never carried out the mandate with which they were charged by the fraction’s conference. The fraction, after the Second Congress, still had confidence in Bordiga, because it was incapable of creating another leadership. 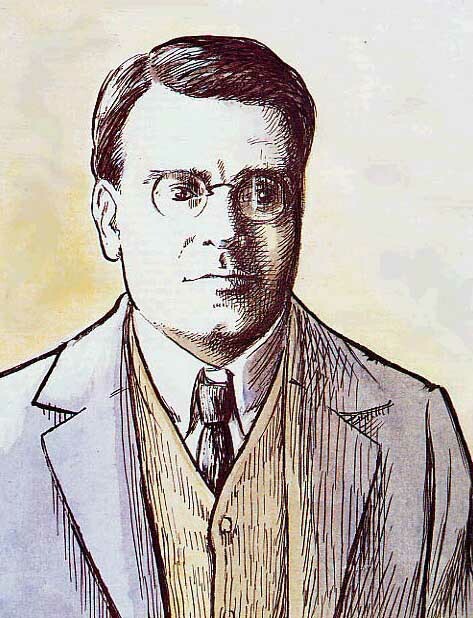 One can undoubtedly discern, in Bordiga and the first leadership of the PCI, the tendency to adapt to circumstances; something which once again took place in 1923 when Bordiga (for the simple reason that Gramsci, although heavily outnumbered, would not agree to sign the document) withdrew a manifesto of the party in which he called for a debate concerning the opportunism of the Communist International and an apparent break with party discipline (the draft of this manifesto is reproduced in Revista Storica del Socialismo, November-December 1964, and in French in Invariance, No. 7); this attitude was also revealed when Bordiga suddenly forgot his doubts about the revolutionary nature of the Communist International during the Fourth Congress when the program was finally presented and adopted. Except for the degree of their isolation within their separate contexts, Bordiga played the same role in the PCI left which Rosa Luxemburg played in the nascent KPD; the difference being: 1) the distance between Bordiga and the rest of the party was much less than that which separated Luxemburg from the revolutionary members of the KPD; 2) Luxemburg was situated within left reformism; Bordiga had illusions about the revolutionary power of the Communist International and the good intentions of the Russian leadership; these positions contributed to preventing the free development of the revolutionary tactics of the western proletariat and neutralizing the new power represented by the PCI, a power which was killed without its ever having been able to clearly assume an authentically representative form. Bordiga’s defining characteristics (equally valid for the period after 1945) were the following: trenchant in his theoretical works (although this facet often had two faces) and lenient (not prone to take drastic action) in practical affairs. (For a leftist group on the PCI left, see the Communist Awakening group, which appeared at the end of 1927 and was active until 1929. Although it held Bordiga in high esteem, it opposed his leniency towards the Communist International; but a perusal of its journal shows that it could by no means contend with the Bordigists for party leadership). 2. Read by Amadeo Bordiga. 3. That is, the leadership of the Socialist Party. 4. Ordine Nuovo, a leftist fraction associated with the journal of the same name edited by Gramsci.